See how we improve your chances of getting hired! Making a resume is the first step of any job search. Not sure how to make a resume? Our online resume builder gives you free resume templates to follow. A creative, professional layout can grab a recruiter's attention. 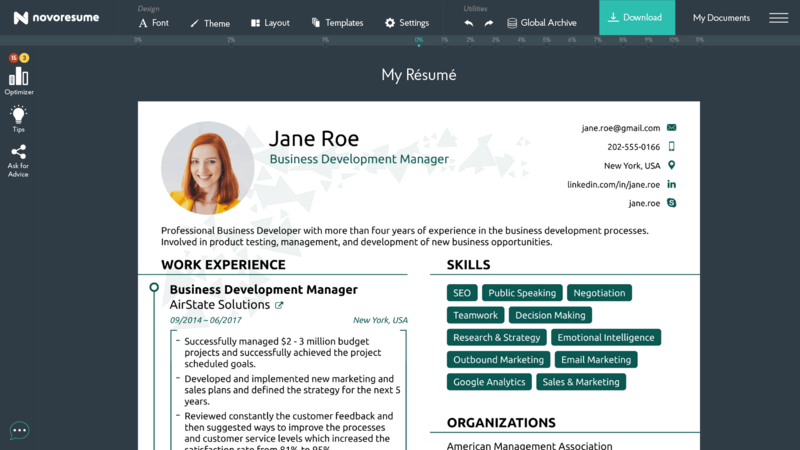 Our resume layout optimizer makes sure all your content is aligned and organized so your resume looks like a work of art. If you aren't sure how to write a resume, don't worry. Our content optimizer analyzes your resume and gives you suggested revisions to increase the quality of your content. Let our free resume templates and cover letter templates do the work for you. Choose from a selection of recruiter-approved layout designs for different job types. Not only do you get to build your resume for free, you also get access to successful resume samples and cover letter examples that you can use for guidance. Beautiful Resume Templates. No Cost. 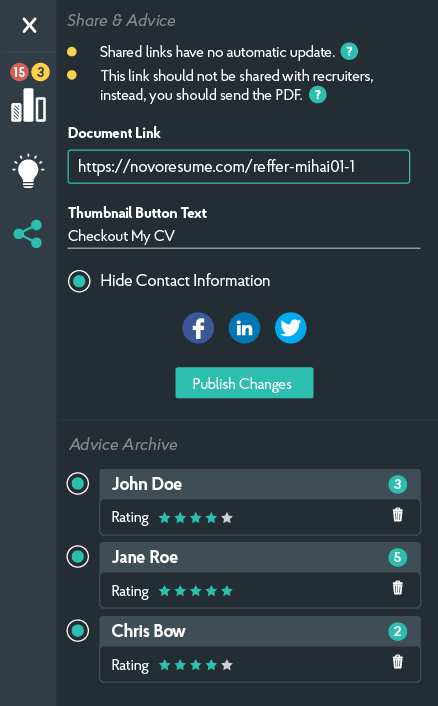 Use the Basic/Free account to create a modern resume. Easily change or add design elements to your resume, including colors and fonts, to give it a creative edge. Your resume is saved in your online account for you to access and update anytime, from anywhere. When you use the free resume maker, you save yourself the trouble of creating a resume from scratch. All of your personal information and saved resumes are protected with high online security measures. All fields are editable so you can write your information in any language. 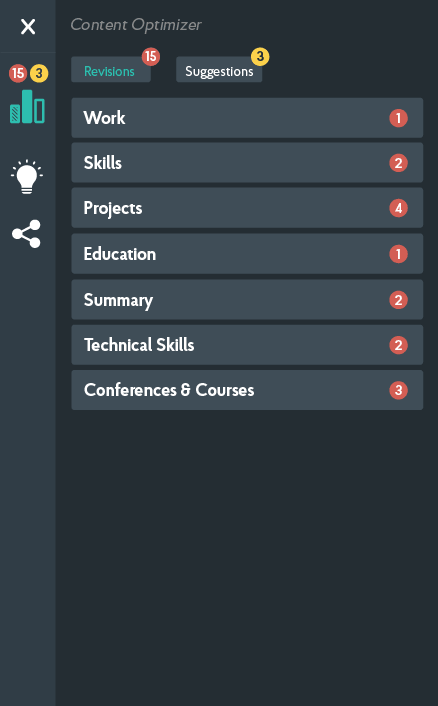 You can see how your complete resume looks as you fill in the content sections, giving you the full picture all the time. It only takes a couple of seconds to start using our online resume builder. The resume creator is offered completely through our website, meaning there is no software to download. 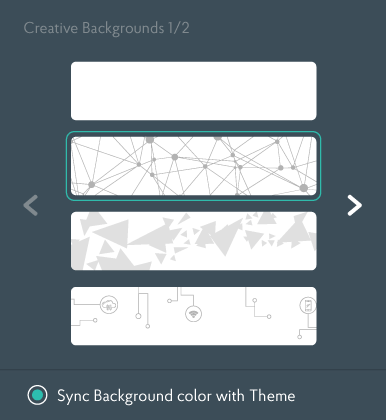 You get to choose between several design options with our selection of free resume templates. This helps you match your resume to the type of company and position you want. Each resume template is organized into major content sections that you fill in while optimization tools guide you through the process. And adding or removing a specific section based on your needs is no problem and you get layout and content suggestions so that your resume looks perfect. Once your content is finished, you can export your resume in PDF from the free resume builder. Your latest version is saved and you can always go back to make edits. 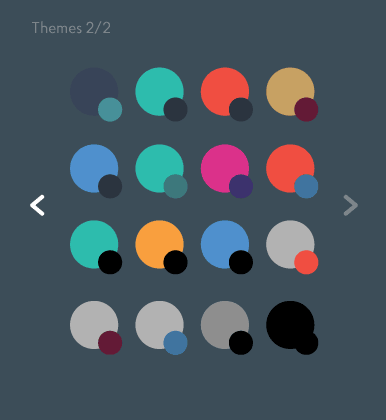 Want even more tools for your job application? 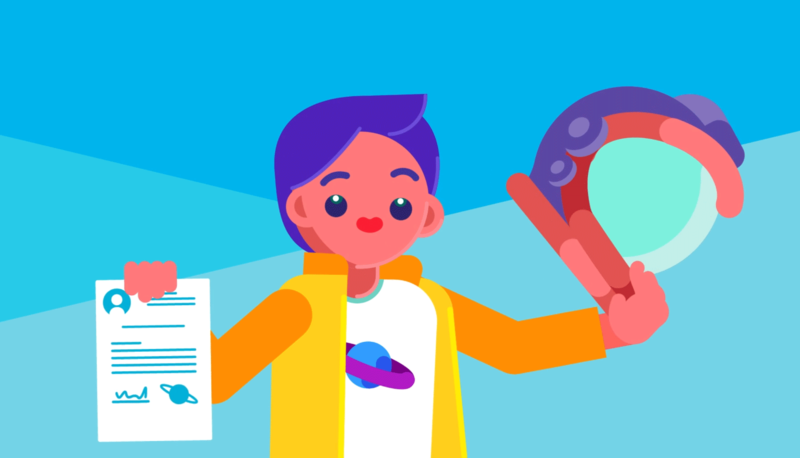 Register for a low-cost Premium account so you can produce multiple resumes online, have access to more design features, or create a longer curriculum vitae (CV). You can even test the Premium features first for free. Want an amazing cover letter to pair with your resume? Use one of our cover letter templates to create the total package for impressing employers. Your resume and cover letter will have the same design and fonts, making them the ideal match. Copyright © 2019 Novorésumé ApS. All Rights Reserved.